Guess what? It's here! The big day is here! Oh man I've been looking forward to today for a while. How about you?? How was your March? 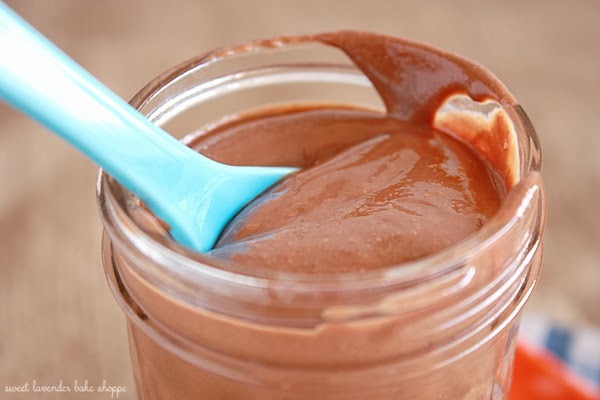 How was finding fun recipes and cooking with our main ingredient- Semi-Sweet chocolate?? Was it fun and relatively easy for ya? I sure hope so! I hope you guys all had a serious blast! I know Samantha and I had so much fun! I personally had about 4 recipes made and photographed because I was so in love with the dang ingredient. I had to finally reign myself in and make a decision on which recipe to use. And speaking of Samantha, you guys should totally check out her recipe! 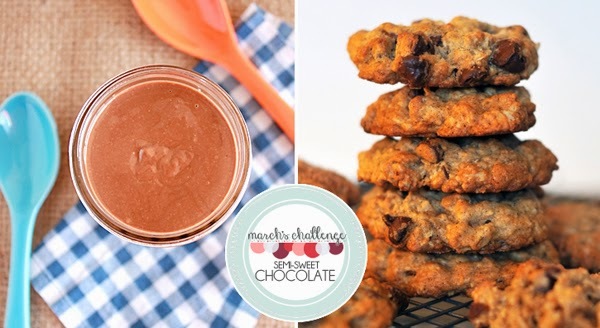 Oatmeal chocolate chip cookies?! Yum, right?! You can find Samantha's recipe here. 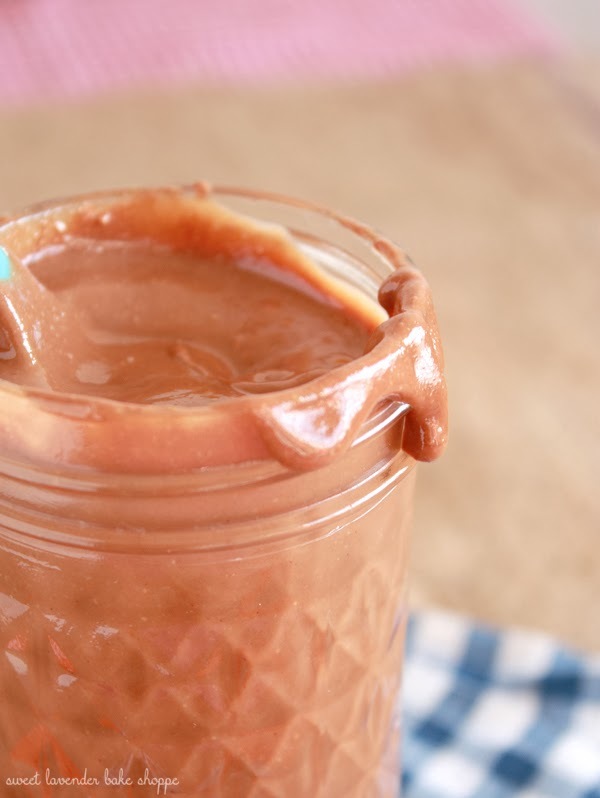 My recipe is for Homemade Semi-Sweet Chocolate Peanut Butter. Yep, chocolate peanut butter. Semi-sweet chocolate was born to play with peanut butter. 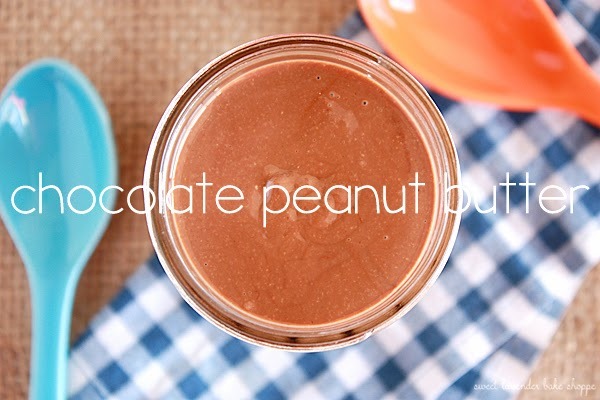 Think of this as if a Reese's Peanut Butter Cup and a jar of Nutella got married and had delicious babies. And easy! I mean...seriously super duper easy. In a matter of minutes you'll have an unprocessed, yummy snack or treat your family will love. **For this recipe I strongly suggest using real semi-sweet chocolate. No melting wafers or whatever they're called. Get the best quality chocolate you can find, as there are only three real ingredients. You want your chocolate to shine! I used Guittard semi-sweet chocolate chips. 1. 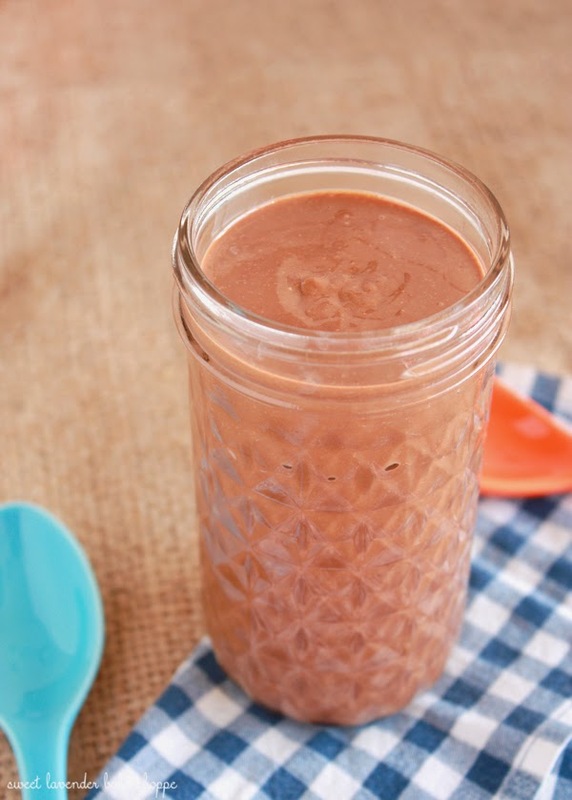 In a food processor, blend peanuts until completely liquified. This will take about 3-4 minutes. 2. Stop, scrape down sides and add your coconut oil. Process until combined. 3. Finally, while processor is running, add your salt and chocolate chips and allow to blend and process until completely combined and liquified again. 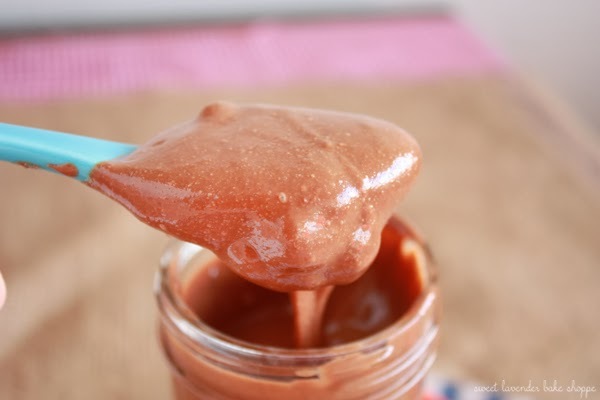 Because of the heat conducted from liquifying those peanuts, the chocolate should have no problem melting into a nice melded chocolate peanut butter. 4. Transfer to glass jars with tight fitting lids and store in your cupboard or fridge! We stored ours at room temperature so that it would be nice and spreadable whenever we wanted to use it...which was all day everyday. Once it cooled off from all the processing, it was a nice consistency. If you'd rather have it firm up real good, feel free to store in fridge. It will harden significantly there. Will store room temperature for up to a week and in the fridge for up to three! What do I do with stuff, you ask? WELL! Drizzle it on ice cream, waffles, pancakes, cookies, brownies, etc! Or spread it over toast! You can also make a pretty mean PB n J as well :) Or, do what my husband does, and eat it by the spoonful throughout the day. Up to you! 1. Link-Up your Cooks in the Kitchen post below. Please remember to link to the post and not your home page. 2. Be encouraging! Comment on some of the posts before you and tell them how awesome they are! Don't forget to get a button and place it proudly on your blog's sidebar if you are participating in the Cooks in the Kitchen Challenge! Happy cooking! Oh yum!!! I am totally trying this recipe! Love, love!! Oh please do! It's so easy and so yummy! um that looks DELIGHTFUL! thanks for sharing!!!! Can't wait for you to link up! 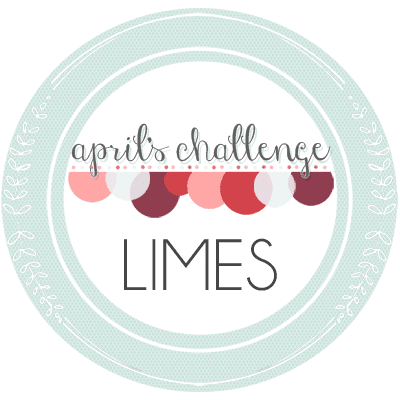 Next month's main ingredient is LIMES! Agggggg! Chocolate and peanut butter happens to be my favorite combination. Can't wait to try this out! Oh preach it! Totally agree! Wow, this looks easy AND yummy! Can't wait to try. This looks amazing! I love peanut butter, so I can't wait to try this one!